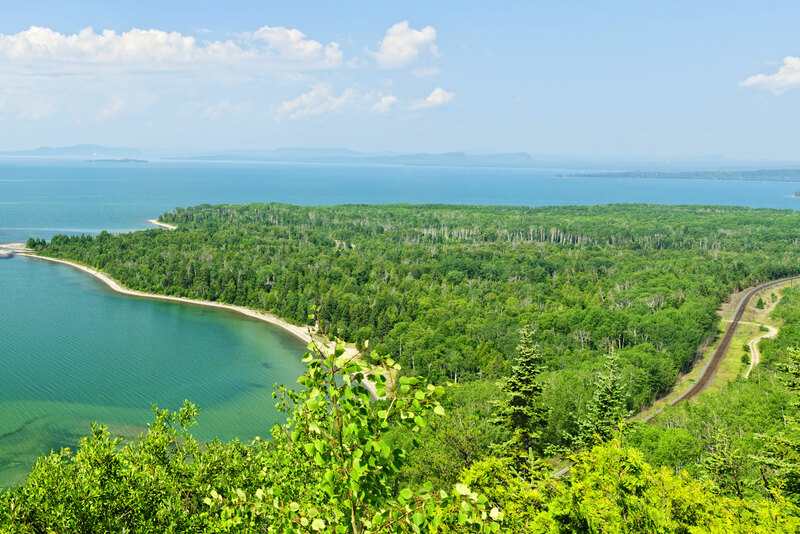 Lake Superior is so big that many refer to it as an inland sea. 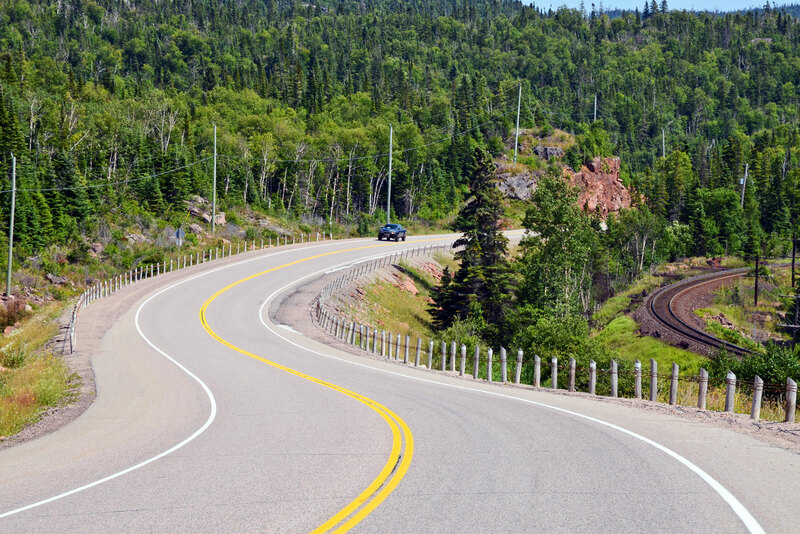 Sault Ste Marie to Thunder Bay, takes you down a 700-kilometre stretch of the Trans-Canada Highway. It’s an ideal drive around for either car or motorcycle, offering endless views of vast Lake Superior, alongside mile after mile of wind-worn rock faces, forests and roaming moose. Lake Superior is the largest of the Great Lakes in North America, spreading through Ontario, Canada, and across the US border into Minnesota, Wisconsin and Michigan. Hit the road- and not just any road, but one of the most beautiful you’ll find anywhere. 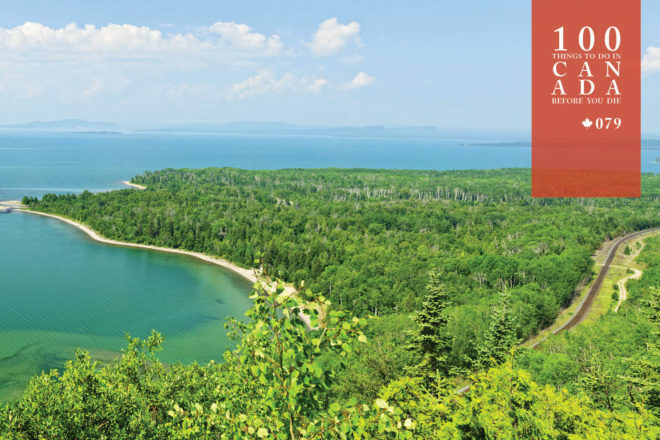 It’s so big that many refer to it as an inland sea – and tracking across its north shore is one of Canada’s iconic road trips: Sault Ste Marie to Thunder Bay, taking you down a 700-kilometre stretch of the Trans-Canada Highway. 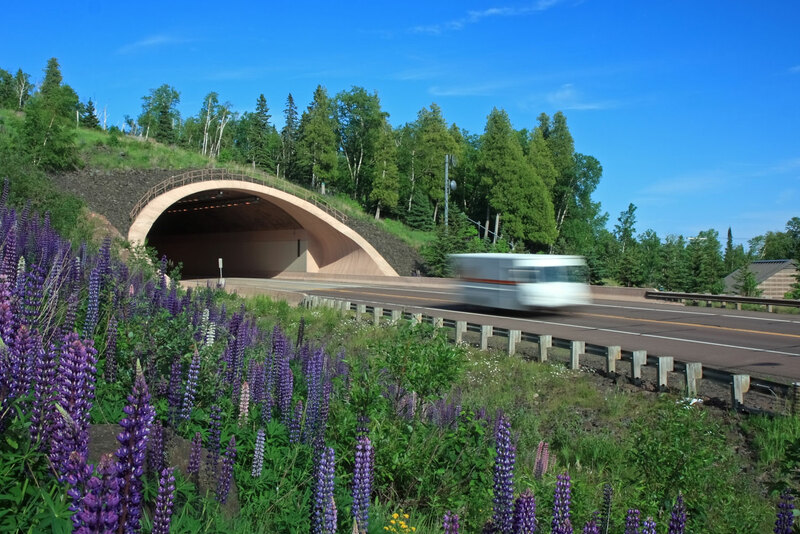 It’s an ideal drive for either car or motorcycle, offering endless views of vast Lake Superior, alongside mile after mile of wind-worn rock faces, forests and roaming moose. You could do the whole trip in a day if you wanted – but why would you? There are plenty of great detours to indulge in along the way (including the famed Sleeping Giant, a six-kilometre-long set of hills that, you guessed it, looks EXACTLY like a giant slumbering on its back) and plenty of places to stay along the route. So whether you’re a keen petrolhead or you’re looking for a creative way to kill a few days in between the rest of your holiday, this is the drive for you. 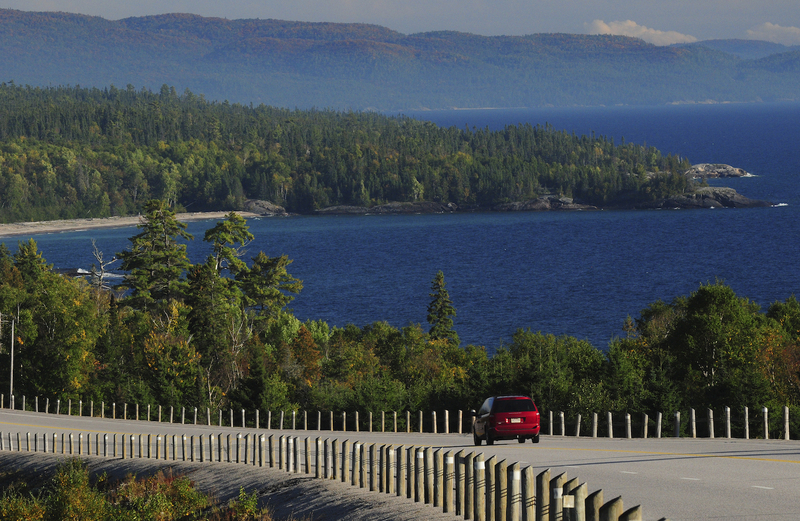 The drive from “The Soo” to Thunder Bay (saulttourism.com; thunderbay.ca) can be made year-round, though make allowances for seasonal changes and weather in your preparations. More details here. 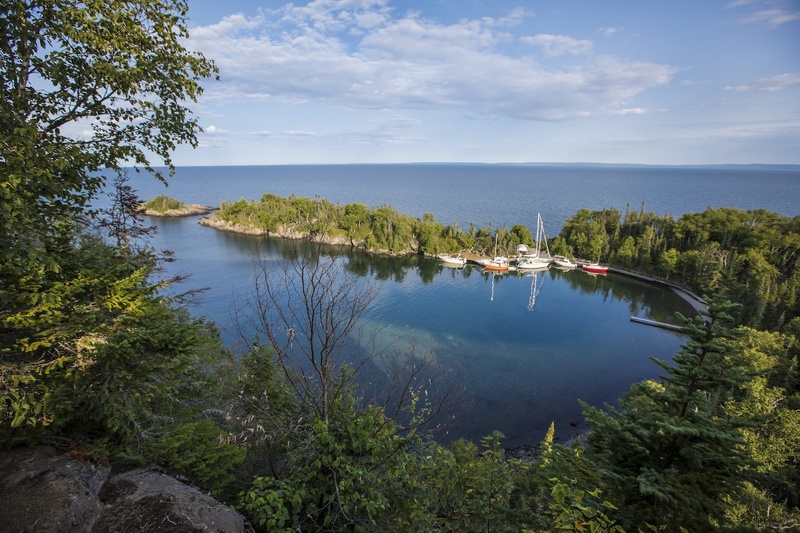 Thunder Bay and Sault Ste Marie are in Ontario’s lower mid-west – and this Sault Ste Marie is not to be confused with its twin city in Michigan (also called Sault Ste Marie), a mere 750 metres away on the US side of the narrow St Mary’s River.